Students from Bracknell and Wokingham College are regular visitors to our touring exhibitions. At the end of November they stopped by our Wildlife of the World exhibition in Reading. They were given a guided tour by our Education Officer, Adrian, who was impressed by the thoughtful questions that they asked and the direction of the group discussions. 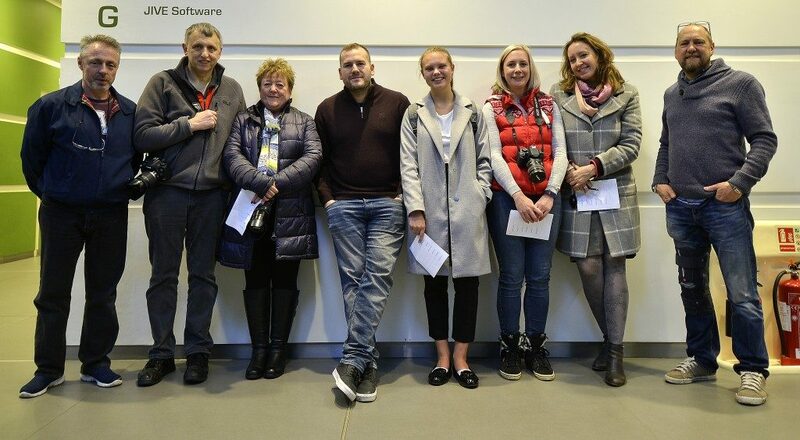 The students used the exhibition as a way of examining how to shoot on location and the feedback that we received from the group was very complimentary. Laurie Deans said: “Great mixture of themes and photos, especially the elephants, underwater and insects. Would be good to know a bit more of the story behind the photos as well. Liked the tips dotted around the exhibition as well”. Daria Radwan commented “Great mixture of wildlife images. Some really impressive examples”. Alison Closs remarked: “Wide variety of photos across the world of animals and birds. Well displayed and inspiring. Need to develop skills to capture better photos”. We hope to be able to welcome them to other exhibitions in 2018.